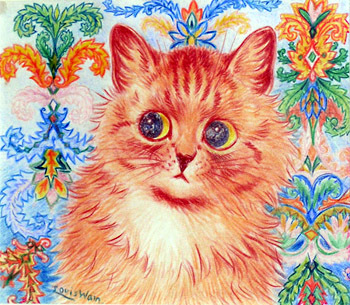 I’ve never been to Willesden Green before, and had it not been for this challenge then I wouldn’t have discovered the works of Cat Artist (yes you read right), Louis Wain. Wain moved to the area in the mid 1880’s with his wife Emily who was suffering from breast cancer at the time. As Emily grew sicker, she would often be comforted by a rescued stray cat called Peter. Wain started to use Peter as inspiration and began sketching him and other feline portraits. Emily encouraged Wain to publish sketches of Peter but she sadly died before this became a reality. 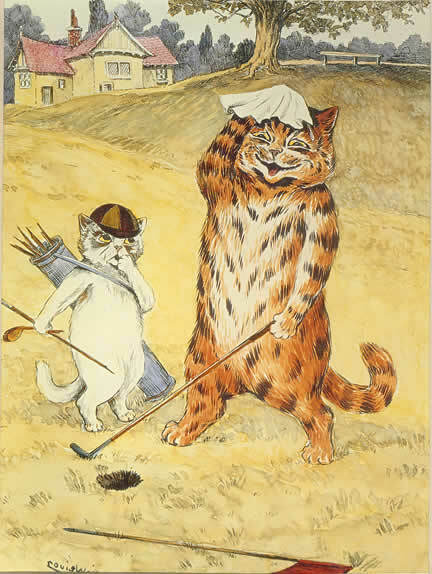 After her death, Wain continued what would become an obsession with cats (and who can blame him… cat’s are awesome), which saw his work take on a range of disciplines, including anthropomorphism and abstractism. 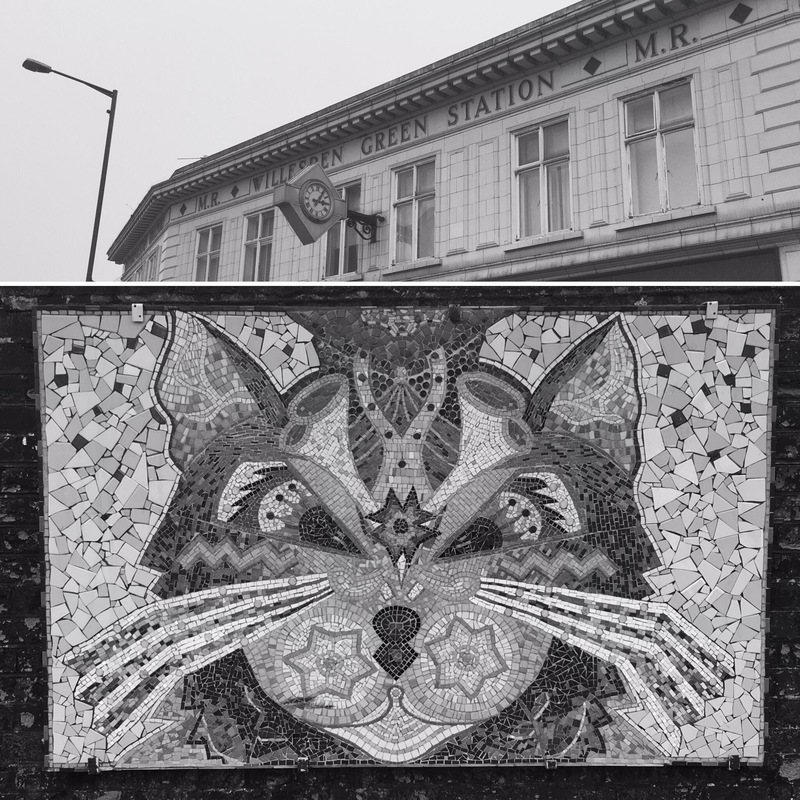 None of this I would have discovered had it not been for a mosaic homage to Wain sitting opposite the station. The striking tribute was put together by the local community group Willesden Green Town Team led by Debra Collis.